This might be a little bit late to share, but want to do anyways. I was surprise to get this in the mail last October 31st, the exact date for Halloween here. A friend of ours sent this artistic card to us. Isn't that thoughtful and amazing? I love getting cards from anyone. And will truly cherish if it comes with good friends too. To be honest, I like cards more than material things, for it is that thought that counts and you know it comes from the bottom of their hearts. you are right, I even keep super old cards and letters from friends. It's also good to see and read them because memories will go back. This is the end result of one knowing how to treasure friends. Cute card. 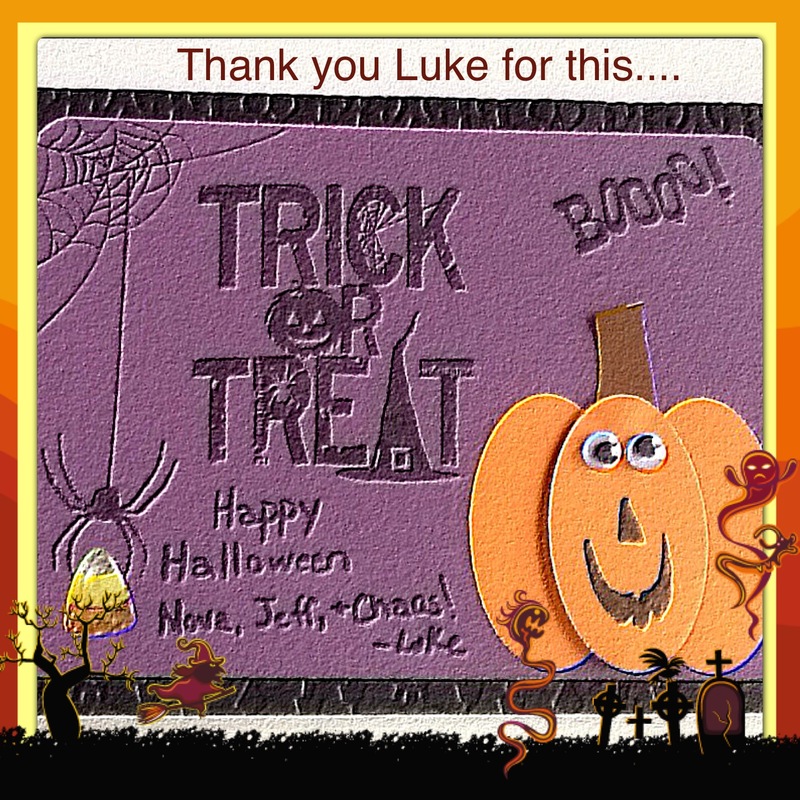 you could still save it, edit the names and resend it anyone next year..(hahaha)... woot it is a great looking card.. I love receiving cards too. That was so thoughtful of your friend, Novz. Love getting cards too. It's quite rare to get one especially in this day of e-mails and SMS. You have a very thoughtful friend. 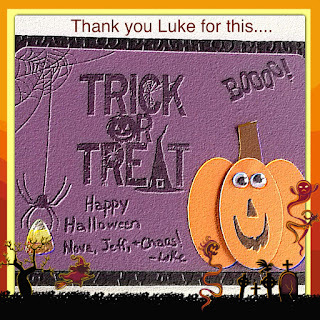 I like receiving cards too but no offense meant to those who celebrate halloween but we don't take part on it nor send halloween card. Hubby said it's of the devil. It looks like a cool card. Never received any Halloween card yet. same ehre ialways cherish cards espceially from close friends..
cute naman..hindi pa ako nakarecieve ng ganyang cards..